cap (kap), n. v. capped, capping. –n. 1. a covering for the head, esp. one fitting loosely, made of softer material than a hat and usually having little or no brim. 2. a covering of lace or similar material for a woman’s head, usually worn indoors. 3. a headdress denoting rank, occupation, or the like: a nurse’s cap. 4. mortarboard (def. 2). 5. anything resembling or suggestive of a a covering for the head in shape, use, or position: a cap on a bottle. 6. summit; top; acme. 7. Bot. the milieus of a mushroom. 8. Also called cap piece, lid Mining. A short, horizontal piece at the top of a prop for supporting part of a roof. 9. a percussion cap. 10. a noisemaking device for toy pistols, made of a small quantity of explosive wrapped in paper or other thin material. 11. Naut. a. a fitting of metal placed over the head of a spar, as a mast or bowsprit, and having a collar for securing a further spar, as an upper mast or jib boom, at some distance above its lower end. b. a metal hand at the end of a spar. c. a cover of leather or tarred canvas for the end of a rope. 12. a new tread applied to a worm pneumatic tire. 13. Archit. a capital. 14. Carpentry. a metal plate placed over the iron of a plane to break the shavings as they rise. 15. Naut. a wooden or metal place at the head of a mast, for supporting and steadying an upper mast, as a topmast or topgallant mast. 16. Fox Hunting. See capping fee. 17. cap in hand, humbly; in supplication: He went to his father cap in hand and begged his forgiveness. 18. set one’s cap for, to attempt to catch as a husband: Several girls in the class were setting their caps for the new young biology instructor. v.t. 19. to provide or cover with or as with a cap. 20. to complete. 21. to surpass; follow up with something as good or better: to cap one joke with another. 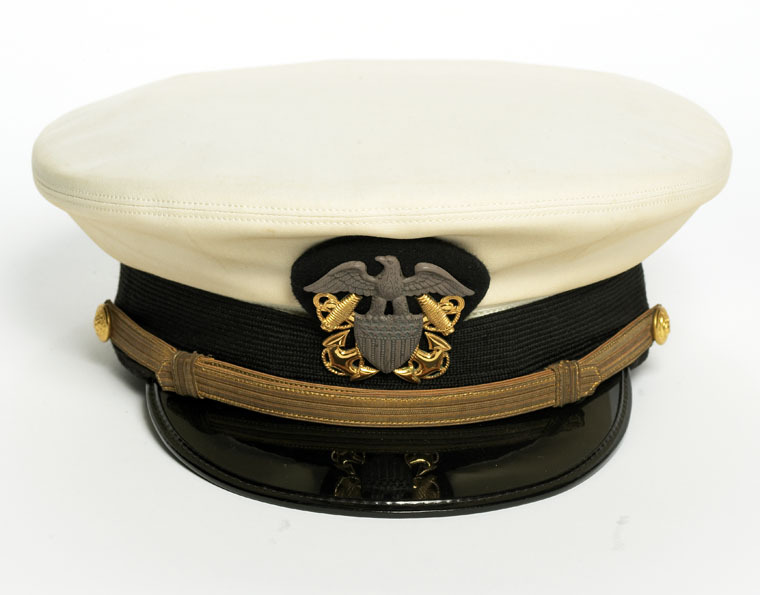 22. to serve as a cap, covering, or top to: overlie. –v.i. 23. Fox Hunting, to hunt with a hunting club of which one is not a member, on payment of a capping fee. 24. cap the climax, to surpass what has been considered the limit; exceed expectations: This latest prank really caps the climax. [ME cappe, OE cappe < LL capp(a) hooded cloak, cap; akin to L caput head] –capless, adj. The skipper placed the cap on his head and pulled it down snug. It had been given to him years ago by a woman. In an old black and white photograph tucked at the bottom of a drawer, the two of them sat at a picnic: him—bearded and rough around the edges, even then—and her—pretty and pinafored, with her ruffled dress and white laced bonnet. She’d given him the cap that day and he’d taken off his military issued one, replacing it with the soft fabric, a relief to his forehead. He was on leave. They spread out a blanket by the river and then went for a walk on a trail in the nearby woods. He plucked berries off bushes, showing her which were poisonous and which were safe for eating; they harvested mushrooms, tucking the chanterelles and scarlet cups into cloth napkins. He told her he was done with the sounds of guns firing, the quick sparks. He would work commercial now, directing men on ships he commandeered. The sailors under him staying the sails, securing the caps. But the sailing meant leaving, still and always. She wanted a life on the land. The tires hit every loose rock on the road as he drove her home that day, and the jarring ride felt fitting as he listened to her. She stared out the front window telling him why her answer was no, why it couldn’t be him. He stopped the car at her house and turned, handing her his naval cap but she shook her head. She didn’t turn to look at him, not once, as she got of out the car and walked to the front door. The barriers he had taken down erected themselves quickly. He steadied himself with assurances. He couldn’t give up one love, even for another. Walking on deck, the salty air stung his eyes and he shook off the memory. He didn’t know then that storms are not meant to be borne alone. He didn’t know then that chances are as ephemeral as waves. *In this piece, I tried to use every meaning of the word cap in the definition above. The ones I couldn’t manage to sneak in was the capping fee for fox hunting, or capital, or mortarboard. For the most part, the definitions appear in chronological order. I think of Las Gorras Blancas… the Mexicans who wore white caps in order to cut down fences, burned barns and fight back Anglo-American land grabbers in the 1880s. Fascinating. I didn’t know about them. I’ll have to look them up.